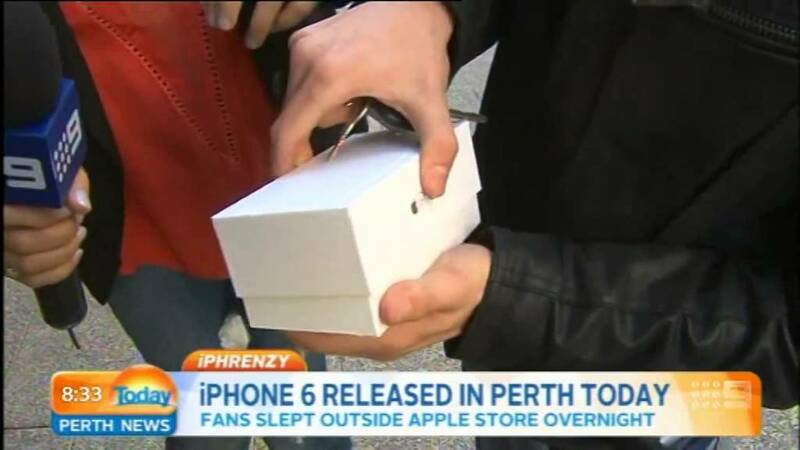 The first person to buy an iPhone 6 is Jack Cooksey from Perth, Australia. Though he is proud of the fact that he is the first person to buy iPhone 6 but at the same time he also became the first person to drop it on concrete, which isn’t that great. After he got his iPhone, TV reporters rushed towards him. He opened the box in excitement and iPhone fell out of it on hard concrete. Poor guy! Alternative title for this video could be – How not to unbox your new iPhone 6. I really feel for that guy.